The Jandy Pro Series JE1500T premium pool heat pump delivers maximum energy efficiency and reliability. Working efficiently, JE pool heat pumps absorb free heat from the air and transfer it to the water, making the heating process ecological and cost-effective. *Comparison is between Jandy Pro Series Versa Plumb System using a Jandy Pro Series Pump, Versa Plumb Filter, LXi™ Heater, AquaPure® Salt System, and NeverLube® Valves with sweep elbows versus competitors' equipment using comparable pump, filter, heater, sanitizer and valves. The Jandy Pro Series JE2000T premium pool heat pump delivers maximum energy efficiency and reliability. Working efficiently, JE pool heat pumps absorb free heat from the air and transfer it to the water, making the heating process ecological and cost-effective. The Jandy Pro Series JE2500T premium pool heat pump delivers maximum energy efficiency and reliability. Working efficiently, JE pool heat pumps absorb free heat from the air and transfer it to the water, making the heating process ecological and cost-effective. 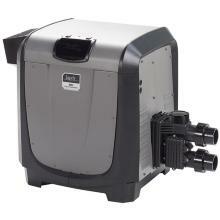 The Jandy Pro Series JE3000T premium pool heat pump delivers maximum energy efficiency and reliability. Working efficiently, JE pool heat pumps absorb free heat from the air and transfer it to the water, making the heating process ecological and cost-effective. The JXi sets a new standard in pool and spa heating technology with its ultra-compact size, lightweight design, and installation flexibility, making it a top choice for pool professionals and pool owners everywhere. 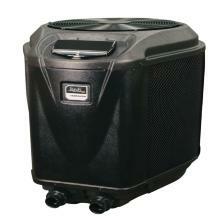 The high-efficiency, low-NOx JXi pool and spa heater is 260,000 BTU and operates on propane. *Refer to JXi manual for proper heater clearances that may apply. The JXi sets a new standard in pool and spa heating technology with its ultra-compact size, lightweight design, and installation flexibility, making it a top choice for pool professionals and pool owners everywhere. The high-efficiency, low-NOx JXi pool and spa heater is 400,000 BTU and operates on propane. The JXi sets a new standard in pool and spa heating technology with its ultra-compact size, lightweight design, and installation flexibility, making it a top choice for pool professionals and pool owners everywhere. 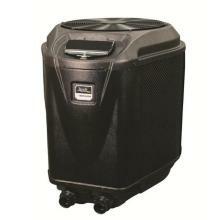 The high-efficiency, low-NOx JXi pool and spa heater is 260,000 BTU and operates on natural gas. The JXi sets a new standard in pool and spa heating technology with its ultra-compact size, lightweight design, and installation flexibility, making it a top choice for pool professionals and pool owners everywhere. 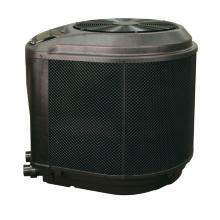 The high-efficiency, low-NOx JXi pool and spa heater is 400,000 BTU and operates on natural gas.